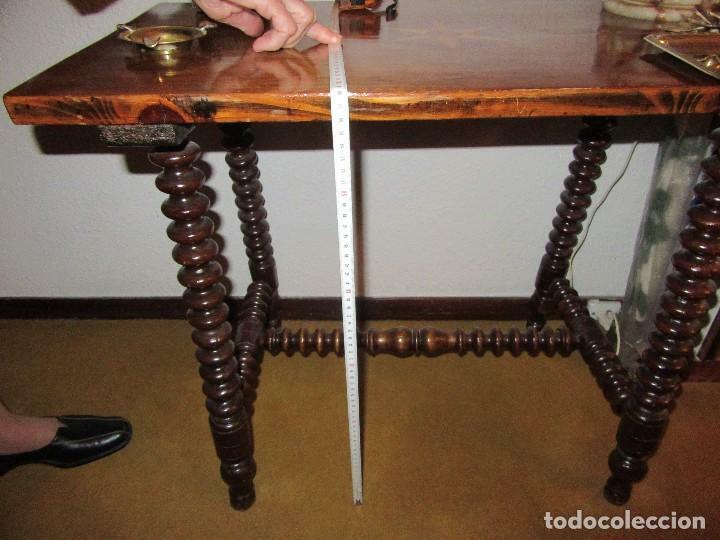 MESA CASTELLANA DE NOGAL, CON MARQUETERÍA EN EL SOBRE Y PATAS TORNEADAS.. MIDE 80 CM DE LARGO X 40 CM DE ANCHO Y 58 CM DE ALTURA. MUY BIEN CONSERVADA. NO INCLUIDOS LOS ADORNOS QUE SE VEN EN LA FOTO. 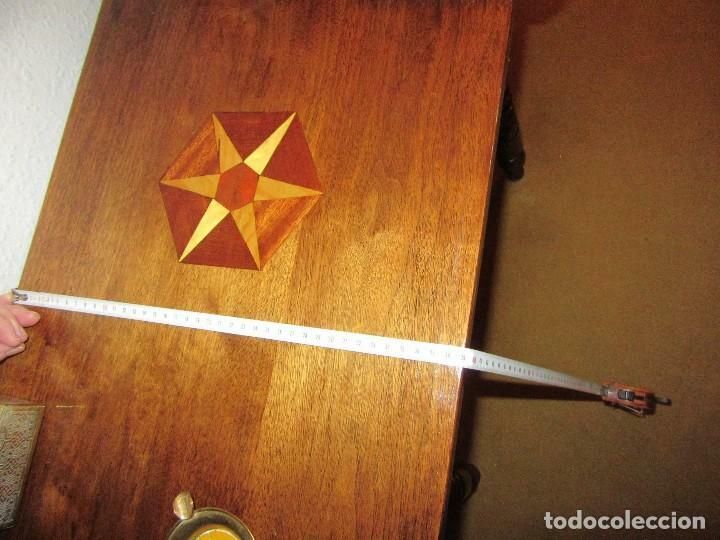 MESA MADERA S. XIX. TABLERO RECTANGULAR EN NOGAL Y PATAS TORNEADAS. 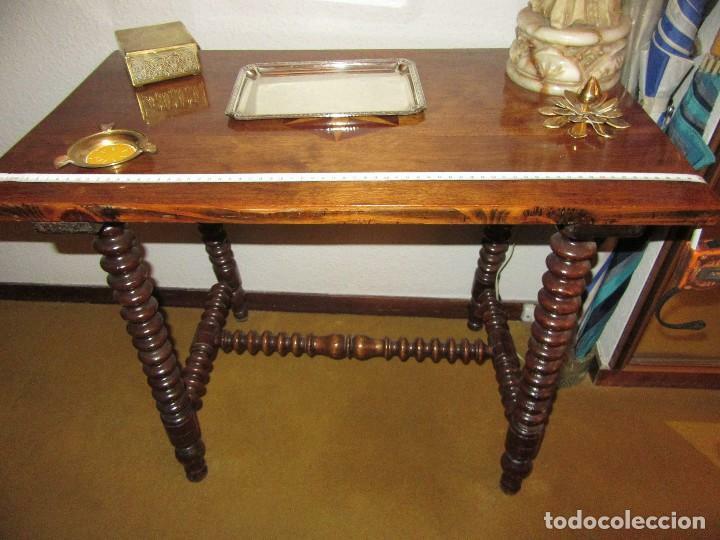 MESA BAJA MODERNISTA CON PATAS CROMADAS, EN RAÍZ DE NOGAL. MESA AUXILIAR CASTELLANA DE NOGAL MACIZO, CON UN CAJÓN. MESA DE BARGUEÑO DEL SXVII. Hora oficial TC: 14:17:59 TR: 261 ms.